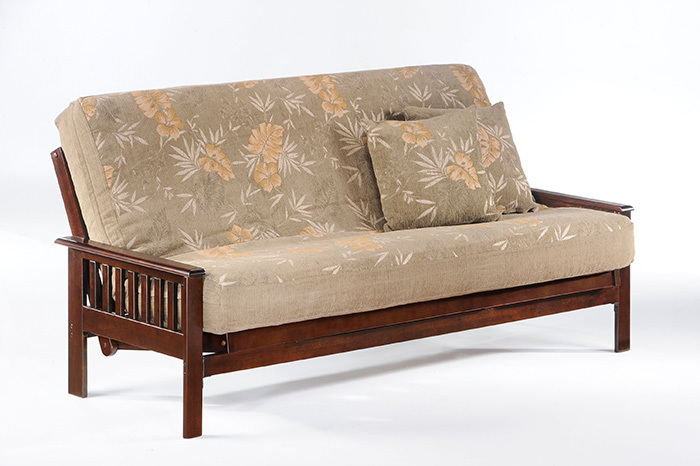 This futon frame is the workhorse of the industry. Always a good seller because of its simplicity and ability to work well in any room. Available in a variety of finishes. Rosewood, natural, teak, dark cherry, chocolate/mahogany, and honey oak. 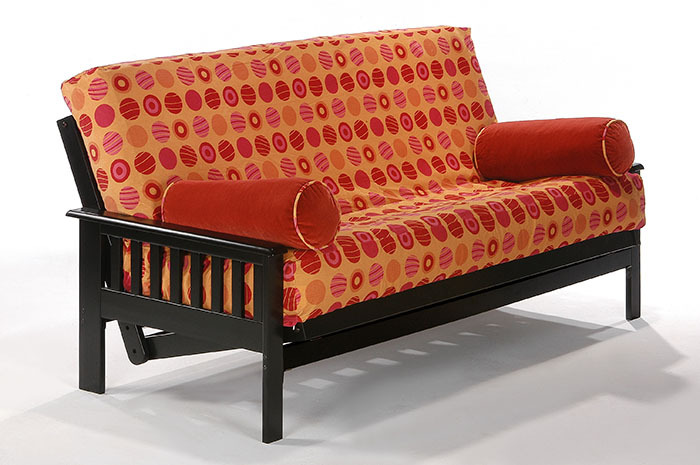 Loveseat options are available in full size lounger/ loveseat and in twin size lounger/loveseat. Queen size is available in most finishes.